One of the premier destinations in Europe is the great capital Amsterdam. While most of the stories you hear about it tend to focus on the legal pot and prostitution, the city’s far more than that: brilliant, centuries-old architecture, canals cutting through the medieval center, and world-class art and history museums. It’s hard to get a feel for the city when you’re in a generic hotel or hostel room. It’s much better to spend your time in an actual Dutch domicile. 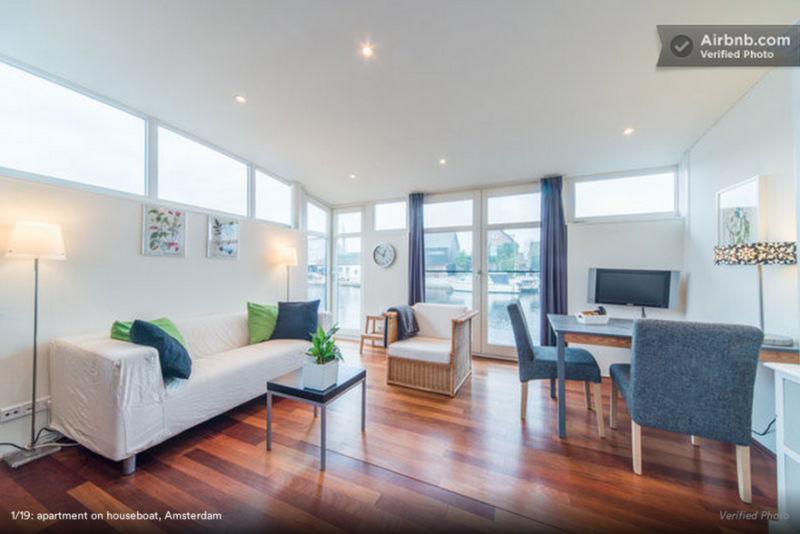 A ton of the Amsterdam homes available on Airbnb are located in the tops of buildings with terraces overlooking the old city, or on houseboats down in the canals. Here are some of the best we were able to find. 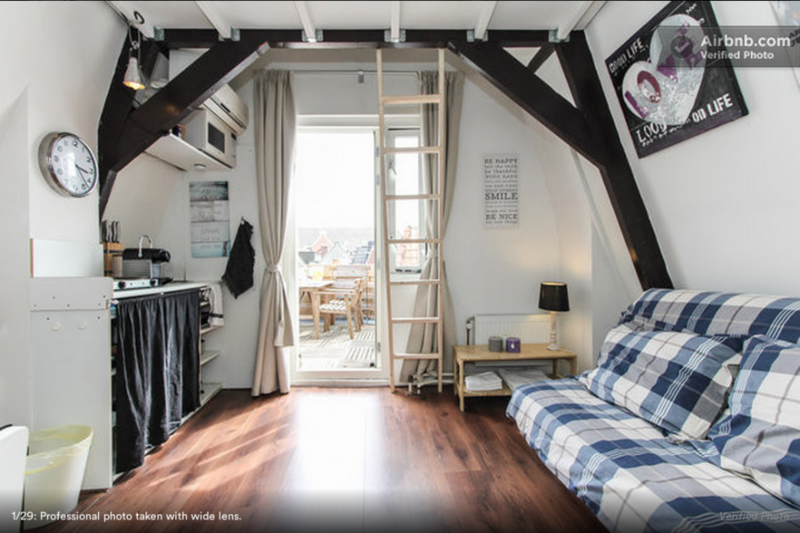 Just around the corner from Rembrandt Square in central Amsterdam, this sun-filled rental is $163 a night. It’s a short walk to the flower market, the popular shopping street Kalverstraat, and the Royal Palace of Amsterdam. A quirk of Amsterdam, a lot of its Airbnb lodgings are houseboats on the canals. This one's particularly pretty. The cost is $133 a night. It’s close to the airport, about 25 minutes away from Amsterdam’s city center—but they provide free bikes to their guests. From the terrace of this guesthouse by the Raamgracht Canal there's a view of the Zuiderkerk tower. It’s around $122 a night. The neighborhood's right next to the city’s infamous De Wallen—the red-light district. This spot in the De Pijp neighborhood is right by the old Heineken brewery, the Albert Cuyp Market, and the Rijksmuseum. Its obvious highlight is the outdoor terrace. It’s about $111 per night (depending on the exchange rate). 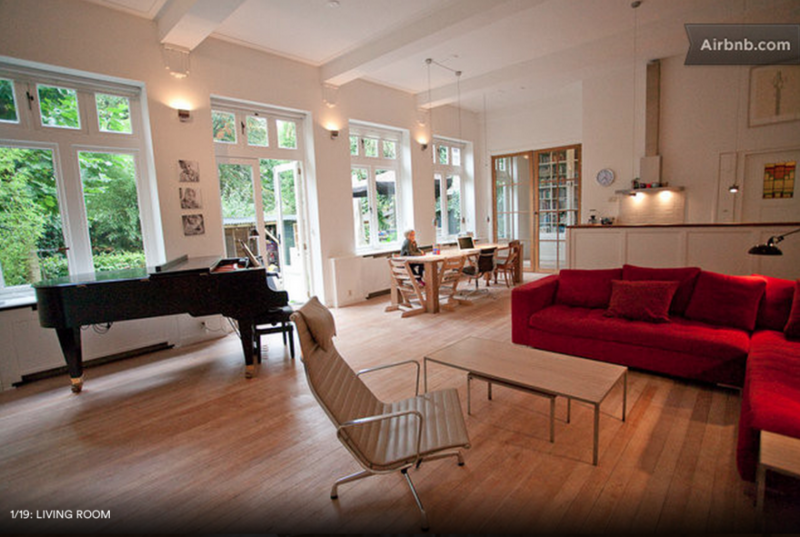 This penthouse is right in the center of Amsterdam along the Keizersgracht Canal and near Rembrandt Square. It’s got a patio (complete with a grill for barbecuing) and free-to-use bicycles, courtesy of the hosts. 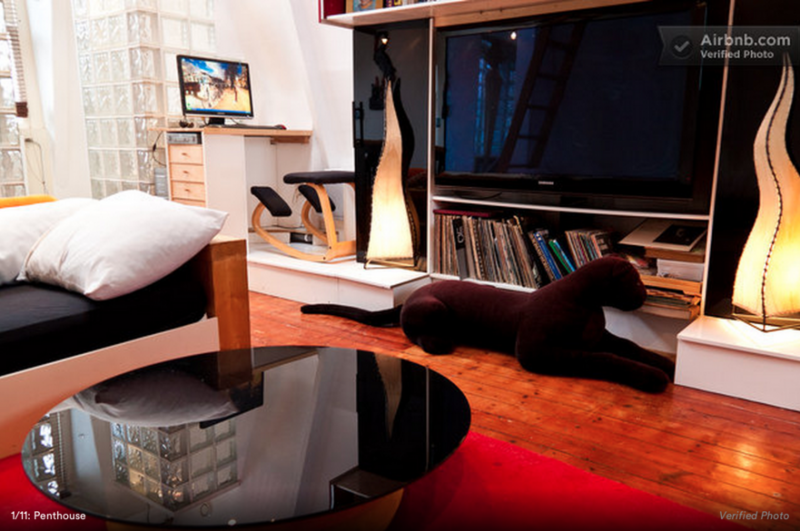 It’s a rare smoker-friendly loft that rents for about $155 a night. 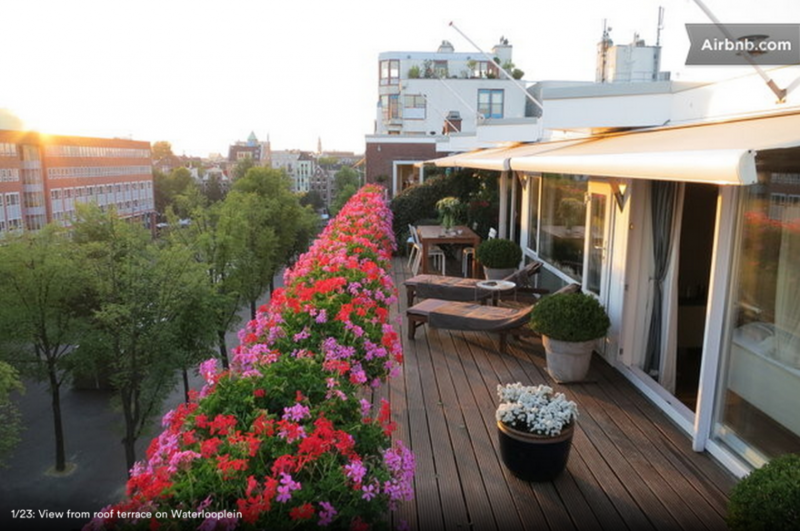 This rooftop apartment in the dead center of Amsterdam overlooks Waterlooplein, the site of a daily flea market. There's a broad terrace with an outside fireplace and shower. 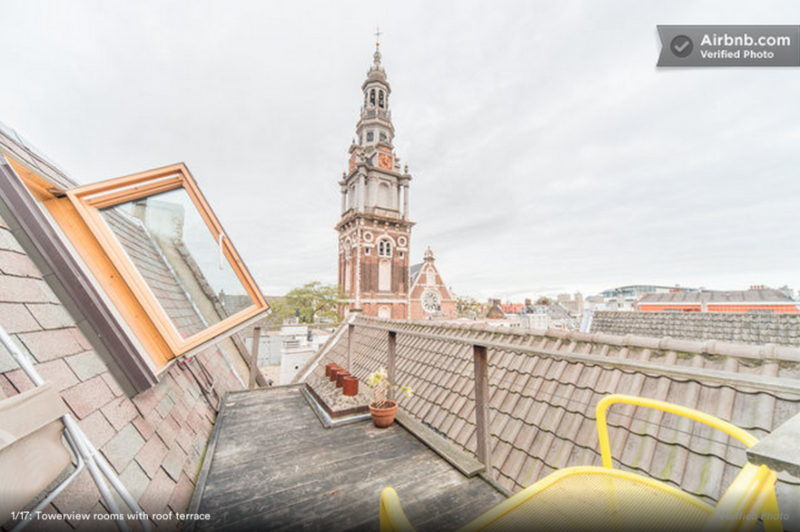 It’s about $340 per night and is within walking distance of basically everything you’d want to see in the city center. 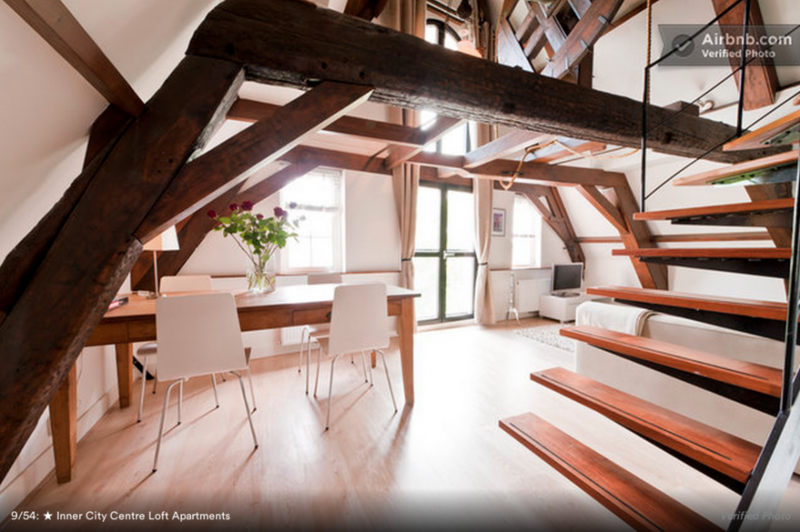 This loft, in a building dating back to the 17th century, is directly above a cafe in Amsterdam’s heart. It’s around $679 a night. 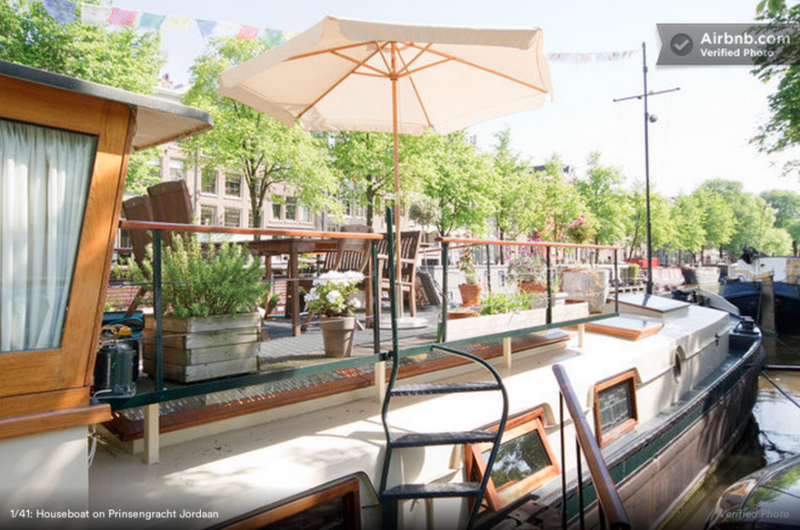 This 23-meter-long houseboat is on the Prinsengracht Canal right by the Noordermarkt in the Jordaan district. It used to be a cargo ship but has been renovated into a home with a lounge and central heating. It’s around $200 a night. 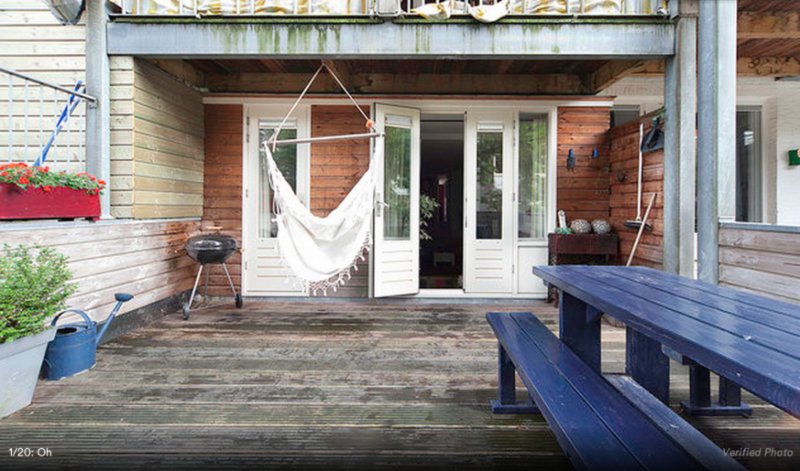 This spot near Jordaan features a terrace with a swinging chair and a picnic table, for anyone who wants to grill out. It's $129 a night and requires a five-night minimum stay. 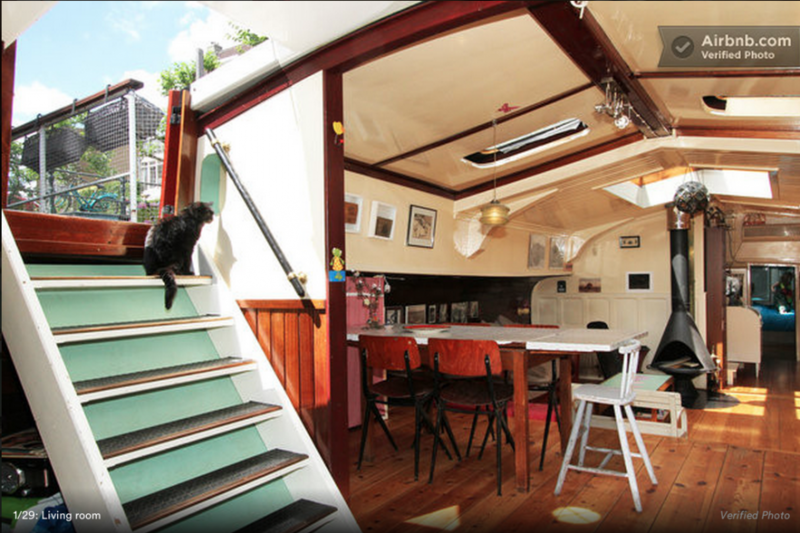 Docked in Jordaan, a historic part of Amsterdam, this ship-become-houseboat is appointed with a fire pit, kitchen, and skylights that let in a lot of sun. It’s $265 a night. Because it's near the central station, everything in the city is accessible. 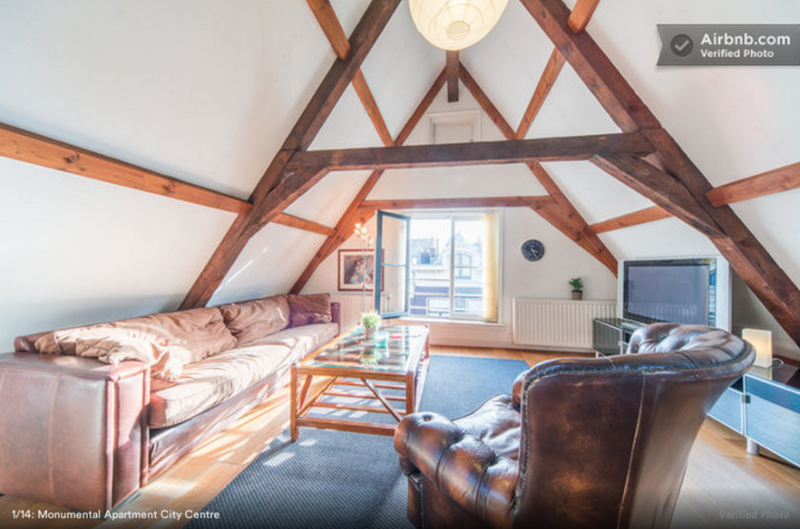 This loft in the De Pijp neighborhood is part of a former monastery, about a 10-minute walk from the Van Gogh Museum and the Rijksmuseum. It costs around $400 a night and accommodates six.